p < 0.004), more extrahepatic structures ( p < 0.05), and the caudate lobes ( p < 0.03) were resected, the amount of perioperative blood transfusion, fluid replacement, and outcome between the two groups of patients were comparable. 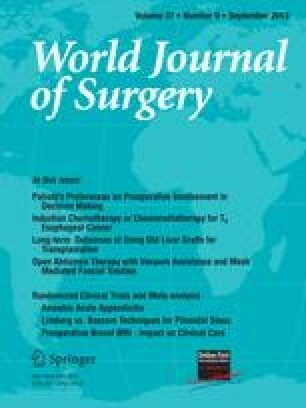 There were three hospital deaths, among which one could be attributed to an intraoperative catastrophe during hepatectomy using the conventional approach. The “anterior” approach is a safe, effective option for selected patients undergoing complicated major right hepatectomy.